I always wanted to visit Romania (specifically Transylvania), the stomping grounds of the infamous Vlad �Tepes� Dracula, but I don�t speak Romanian and I wouldn�t necessarily know where to go when I got there. So what�s the solution? Take the Dracula Tour, of course! When I found it online, I couldn�t believe it! 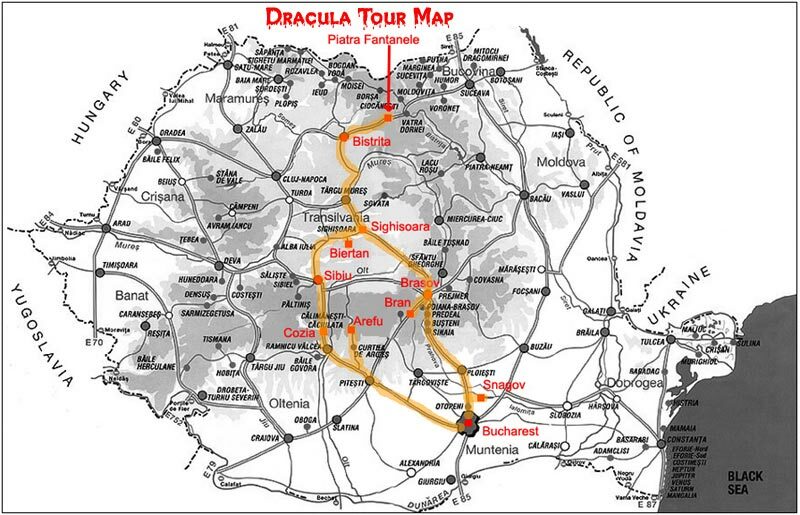 Who would have thought that a travel agency would host a Dracula themed tour of Transylvania? The best part is that they have done all the hard work for you. They make all the flight & lodging arrangements and carefully pick out the most interesting sites to see. All you have to do is show up and have fun. 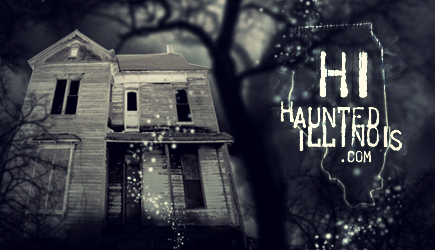 If you are a fan of Halloween, horror movies, history or if you just like to travel, this is a trip you should seriously consider. The following is my personal account of this once in a lifetime trip to Transylvania, land of Vlad the Impaler. The tour would leave from New York, so I had to hop a flight from Chicago to JFK Airport, to meet with the rest of the "Drac Pack". When I got to New York, it didn�t take long for me to find a few people from our Dracula Tour group. Actually, it didn�t take long for the entire group to congregate. Shortly before departure time, the tour staff handed each of us a �goodie bag� filled with plastic fangs, posters, horror magazines & promotional materials. Our first flight was from New York to London, then another flight would take us from London to Romania. Unfortunately our tour coordinator was unable to accompany us on our journey, due to some personal commitments, so it appeared we were on our own until we arrived in Romania. A flight delay brought us into London a little late, so we didn�t have much time to catch our connecting flight. It was such a close call that a number of us feared that we might be stuck in London without a way to get to Romania; however, due to the efficiency of London airport security (and another short flight delay) we made it with time to spare. Upon arriving at the Bucharest Airport in Romania, we found that not all of our luggage made it. In fact, only two people out of the eleven in our group were able to pick up their bags. After filling out the appropriate forms, the airport staff assured us that they would forward the missing luggage to our hotel, when they found it. At the airport exit, we met our tour guide, Radu. He led us to a blue Mercedes luxury tour bus and introduced us to Stephan, our bus driver, who would take us on a week-long journey through Vlad Tepes Dracula�s homeland. Radu turned out to be an excellent tour guide; he was quite entertaining and very knowledgeable of the history of the region. On the way to the hotel in Bucharest, he gave us some great background information, filling us in on the Romanian economy, traditions, culture and history of the region. Between the airport and the hotel, there was a lot of road and building construction. Parts of Romania, well at least in Bucharest, were a bit more modernized than I thought they would be. I was kind of hoping that more of the country would be like the baron landscapes that you see in Dracula movies. It was actually a little disappointing to see both a McDonalds and a KFC on the way to the hotel. Oh, well. What can you do? Being a developing country, Romania is quite a contradiction. On one block I saw old decrepit buildings in a sad state of disrepair, yet only about one hundred yards down the road there was a Jaguar dealership. How odd! Not knowing exactly what to expect of our accommodations, I was pleasantly surprised when we arrived at our first hotel, the Crystal Palace. This four star hotel was, in my personal opinion, the most luxurious of all the hotels we stayed at in Romania... and coincidentally it was the only one with air conditioning! The rooms were well appointed with all the necessary amenities. They had glass shower stalls with modern fixtures, a 19� television, queen size bed and a mini-bar. Television in Romania was very interesting, to say the least. You could choose from a diverse mix of Romanian and American television programs. Flipping through the channels, I found �The A-Team�, �Mythbusters�, �The Tonight Show with Jay Leno� and �CNN News�. Some of the American programs had Romanian subtitles, while others had Romanian voice-overs. After getting unpacked and settled into our rooms, we all met downstairs in the lobby. On our first evening Radu had to leave early and we had dinner on our own, but he left us in good hands. The hotel serving staff waited on us hand and foot. Not a minute went by where someone wasn�t refilling our water or asking if we needed anything. There was definitely more than enough food to go around. Dinner was a really nice bonding experience, giving everyone a chance to talk and get better acquainted. Our group was an interesting mix of people, ranging from eighteen years old to middle-aged and from all walks of life. We were all just regular folks. There were no vampires in our tour group... at least as far as I could tell. HaHa! Everyone in the group seemed to get along, which made for a nicer experience overall. Anyway, after dinner we all returned to our rooms for some well-deserved rest after enduring such a long, exhausting day of travel.